This breathtaking LED Flush Mount with Black Finish is a beautiful piece from our Palco Collection. With its sophisticated beauty and stunning details, it is sure to add the perfect touch to your dicor. Five years warranty against manufacturers defect. In less than 15 seconds, the Commercial Electric Easy Light turns a plain lamp holder into an energy efficient LED flushmount fixture. Installation is literally as easy as screwing in a light bulb. Without doing any wiring, you can replace bare bulbs in basements, garages, and other areas with high quality LED lighting. Not only will the Easy Light last 45.6 years or for 50,000 hours of continuous use, which is 25 times longer than a typical 100 watt incandescent bulb, but it also uses 78% less electricity! That means that over its lifetime, the Easy Light will save up to $429 in energy costs compared to incandescent. The Easy Light also comes with a hardwire installation kit so it can be directly wired to a junction box, if desired. It is cUL rated for use in damp locations and ADA compliant. This high-quality, long-lasting, energy efficient LED ceiling light is perfect for kitchens, laundry rooms, closets, garages and basements. The frosted white acrylic lens distributes light evenly, while the brushed nickel trim enhances any decor. The low profile flushmount design can be mounted on a ceiling or wall and its lightweight construction makes installation easy. Dimmable, ENERGY STAR certified and cUL rated, the fixture produces 1550 lumens of bright white light (4000k Correlated Color Temperature). Equivalent to 100 watts of incandescent light, this Hampton Bay 14 LED ceiling light uses only 22 watts of power, saving up to $429 in energy costs over the life of the fixture. The integrated LED is rated to last 45.6 years or for 50,000 hours of continuous use, so there are no bulbs to replace! This Hampton Bay 2' LED ceiling light features a high quality, low-profile design that is perfect for kitchens, laundry rooms, offices, garages and basements. The frosted white acrylic lens distributes light evenly. And, unlike many large linear light fixtures, the lightweight construction makes for easy installation, while the LED technology ensures long-lasting, energy-efficient lighting. This ENERGY STAR certified and cUL rated dimmable fixture produces 1500 lumens of bright white light (4000k Correlated Color Temperature). This LED linear ceiling light is more energy efficient than a comparable fluorescent fixture it uses only 20 watts of input power versus 34 watts for two 17-watt fluorescent tubes. Plus, with its integrated LED design, there are no bulbs to replace like with fluorescent alternatives! This high-quality, long-lasting, energy efficient LED ceiling light is perfect for kitchens, laundry rooms, closets, garages and basements. The frosted white acrylic lens distributes light evenly, while the brushed nickel trim enhances any decor. The low profile flushmount design can be mounted on a ceiling or wall and its lightweight construction makes installation easy. Dimmable, ENERGY STAR certified and cUL rated, the fixture produces 1550 lumens of bright white light (4000k Correlated Color Temperature). Equivalent to 100 watts of incandescent light, this Hampton Bay 15 LED ceiling light uses only 22 watts of power, saving up to $429 in energy costs over the life of the fixture. The integrated LED is rated to last 45.6 years or for 50,000 hours of continuous use, so there are no bulbs to replace! 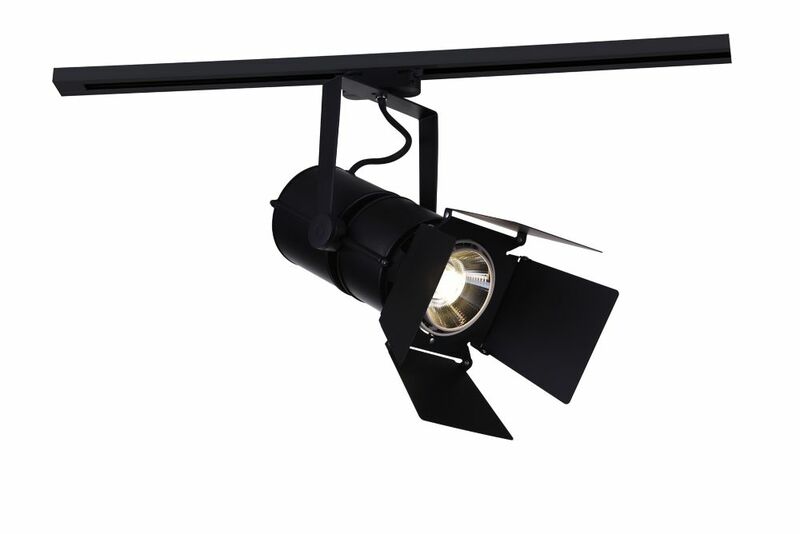 Palco 10-inch Integrated LED Flush Mount Light Fixture with Black Finish This breathtaking LED Flush Mount with Black Finish is a beautiful piece from our Palco Collection. With its sophisticated beauty and stunning details, it is sure to add the perfect touch to your dicor.